50 minutes of step by step instructions on how to play the didjeridoo. 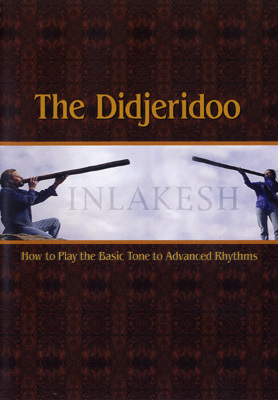 Instructions include how to make a rich clear tone, how to make bird & animal sounds, a simple, 3 stage technique for learning circular breathing, several basic and advanced rhythm techniques including overblowing and rapid abdominal breathing patterns which will increase your power and stamina as a didgeridoo player. They also demonstrate how to form a beeswax mouthpiece. There are close up shots of each technique done inside and outside the didjeridoo so you can clearly see how each technique and sound is created. The video has been tremendously successful in assisting many novice players to learn various techniques of playing and has helped some to learn circular breathing amazingly quick!